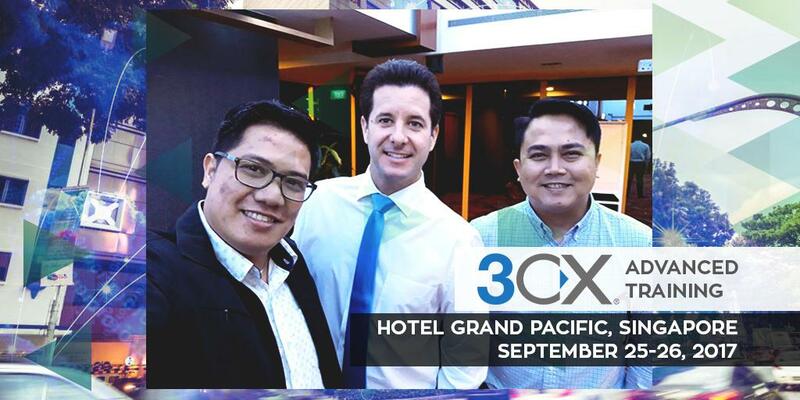 T2G took up the challenge to join the 3CX Advanced Certifications Training at the Hotel Grand Singapore on Sep 26-27, 2017. The training was aimed at the pre-sales and technical support staff with more in-depth responsibility of promoting, installing, configuring, maintaining and supporting 3CX client installations. During the 2-day training sessions, the team participated interactively and closely with 3CX technical trainer and guru, Nicholas Paras. T2G engineers also took the online certifications test for 3CX Advanced which required prior Basic and Intermediate certifications. After successful completion, T2G was elevated to 3CX Silver Partner status.